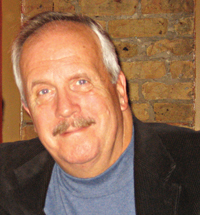 Robert Stricklin is a freelance writer and the author of the crime thriller, A Necessary Evil, and the political thriller, Process of Elimination. A native New Yorker, he now resides in South Florida. The clock is ticking. The days are numbered. Are we really on the eve of destruction? Nahhhh…PROFITS OF DOOM is an irreverent, whimsical expose of the age-old doomsday for profit industry, and the ultimate antidote to all the doom and gloom that permeates our society at this time. It explores – and debunks – everything from the misrepresentation of Biblical prophecies to the wildly inaccurate predictions of modern day “psychics” to Hollywood’s lucrative exploitation of apocalyptic fears to the needless hysteria surrounding the end of the Mayan calendar – and more. It’s the doomsday book to end all doomsday books … hopefully. 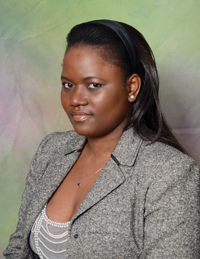 Myrlande E. Sauveur is a dynamic and creative youth counselor whose personality and sense of humor enable her to convey a meaningful message accessible to all. She enjoys writing poetry and short stories, but she especially loves to teach people how to communicate on a deeper level with God. Myrlande lives in Stamford, Connecticut. She is the Co-Chair of Dorcas Foundation, a non-profit organization that focuses on helping Haitian college students and Haitian women in Stamford, CT and the surrounding areas by providing them with charitable services in the form of scholarships, college fairs and health fairs. Oftentimes, the vicissitudes of life get in the way of building an intimate relationship with God. We live in a fast-paced society and sometimes feel overwhelmed to the point that we question God’s plan for our life. 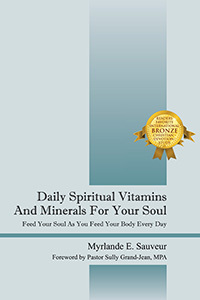 “Daily Spiritual Vitamins and Minerals for Your Soul” offers a dozen meditational reflections, supported by daily key verse, as a regulator to give our lives the rhythm we need to enhance our self-esteem, elevate our morale, increase our faith, and strengthen our fellowship with the Lord. We all need vitamins and minerals to stay physically healthy, and we need the Word of God to remain spiritually healthy. These pages contain nuggets of peace and wisdom for a troubled society and its weary people-and with daily meditation and reflection on God’s Word, you will nourish your soul and soothe your spirit. Amirali Dossa was born in East Africa and educated on the East Coast and has a very successful computer career in California. The inspiration for this book was my other books. I found this book an intellectual challenge. I hope everyone shares the same perception when they reflect on their beliefs. A unique insight to beliefs of Hinduism, Islam and Christianity one has taken for granted. A book giving one an alternative path to consider. F. Sophia is an Organic Pastry Chef, who loves to create low-glycemic recipes. She is also a writer, novelist and publisher. Feana writes about various subject matters, and her published works include: CL Etiquette, Flirting with Disasters, La Latina de Elegancia: Volume 1 in English and Spanish, Defense Mechanisms: Mastering Offenses, satan’s helpers and Now What: You’re Unemployed…How to Handle Downtime. She is a jet setter by nature, and travels globally. She often wakes up in one country, and goes to bed in another one. Feana consults in numerous industries, negotiated contracts for Fortune 500 companies and conducted etiquette seminars for a Tier 1 University. She enjoys cooking, baking, dancing, providing sustainment, biodynamic and eco-conscious consultations to restaurateurs and living a healthy lifestyle. Rana Martin is a no-nonsense executive that works in the IT industry. This Latina takes no mess from anyone, especially men. She has mastered every component in her life but love. Rana struggles daily with incorporating romance into her life. Her hectic schedule is often filled with putting out unnecessary fires. Rana considers herself to be an expert on men. Although, she has never been engaged, she has had too many relationships to number. Life is a journey. 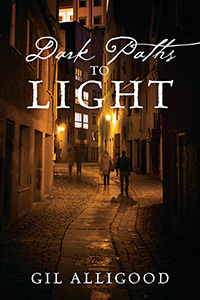 Rana is willing to endure her journey to reach her final destination, Unconditional Love. If you are a meats and potatoes person read Chapter 3. If you are sneaky, read “The Entertainer” located in Chapter 3. If you like a balanced meal (like myself), read the entire book. 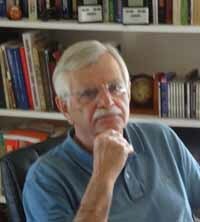 Gil Alligood’s stories are based on research as well as his own experiences as a pilot in the United States Air Force (retired colonel), a consulting engineer, and a private pilot flying his Piper Arrow-providing background information for adventure and intrigue. Alligood currently lives in Washington, North Carolina, where he serves his church as a Bible School teacher and is chairman of the local airport advisory board. 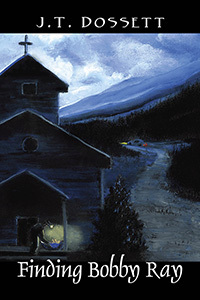 His previous novel, The Devil’s Pace (2014), examines the culture and amorous adventures of a young girl in 1953 in eastern North Carolina. About Barbara Zavada. 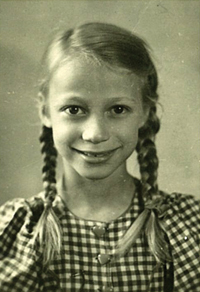 A unique story recounting the horrors of the author’s childhood in Germany during WW II. 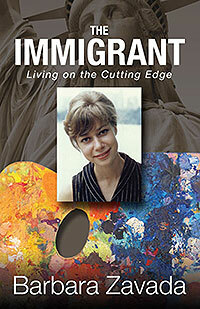 This account follows her new life in America as an accomplished artist, raising her family in Connecticut. The author now lives in the remote desert of Eastern Utah. This autobiography is the story of sheer survival in war torn Germany. Escaping the Eastern Zone, survival in the West before immigrating to the land of freedom, the USA. Joy and appreciation of the freedom of the new immigrant combined with selfless hard labor. Talents and gifts brought from the old world to contribute and enrich their adoptive land. Survival and adventure was to be the theme of my story, heritage for my descendants. More though this immigrant heritage was to enrich the United States of America. This story lay dormant for many years in a life of hard toil for every day living. Arriving on the American shores, little could I have foreseen a life so rich in experiences and colorful to unfold. Granted were freedom of choice for a satisfying career as an artist, raising a family, contributing to community and country. Many honors surprised me such as Marquis Who’s Who in American Women, Marquis Who’s Who in America, Marquis Who’s Who in American Art, International Woman of the Year and many more. The Immigrant is everyone’s heritage. May it be enjoyed. May it be thought provoking about everyones roots. May there be grace and thanks in a fulfilling life.